Home > Kroger Ad > Quorn Meatless Turkey Deli Slices: 99¢ at Kroger! 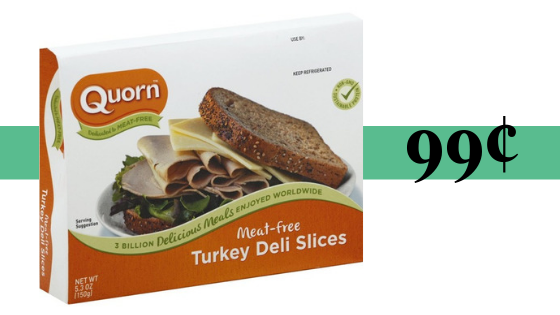 Quorn Meatless Turkey Deli Slices: 99¢ at Kroger! Take advantage of the Kroger Mega Event to get Quorn meatless products for cheap! Use a high value Ibotta rebate to get Quorn meatless deli slices for only 99¢!